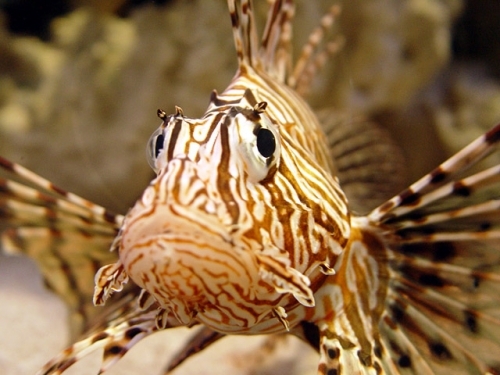 The lionfish is a fierce predator and successful competitor in the fight to survive in Florida's coastal waters. Officials encourage people to eat this invader from the Indian and Pacific oceans. But catching a lionfish is dangerous, due to its poisonous spine.